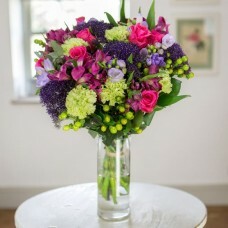 Flowers By Isabel, Flowers for Birthday’s, Anniversaries, Weddings, Funerals, Corporate, Gifts and much more. 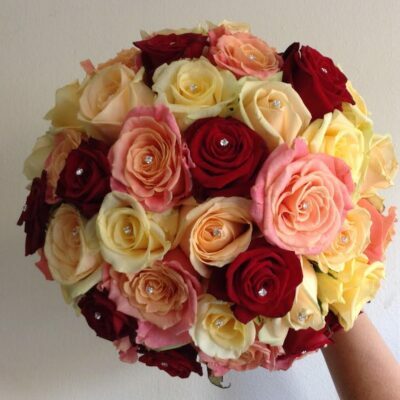 At Flowers By Isabel we appreciate the importance of your big day. 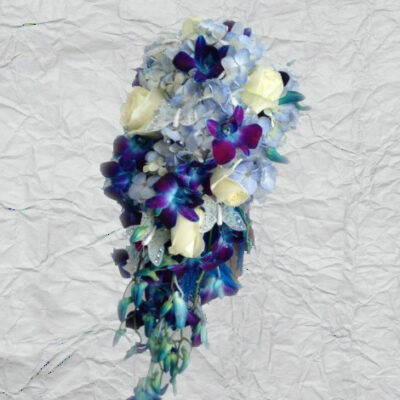 We can provide a number of Wedding Arrangements or work with you to create your custom design. 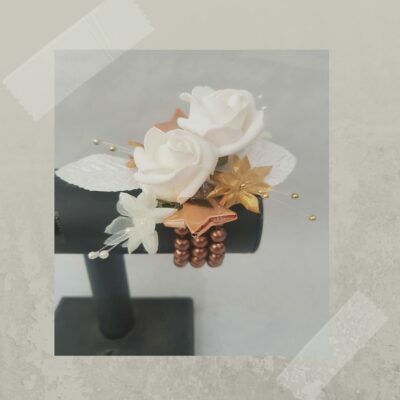 In addition to Wedding Flowers, Flowers By Isabel can supply a number of Wedding Venue accessories to hire or purchase. 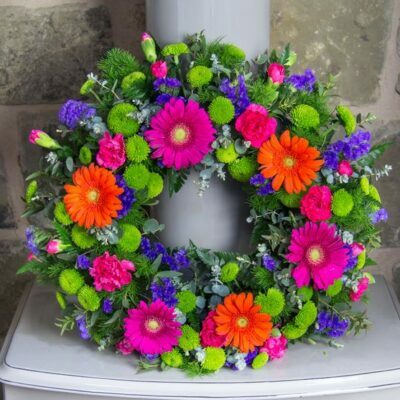 Flowers by Isabel provide a personal caring Funeral Flowers and Floral Arrangement service. 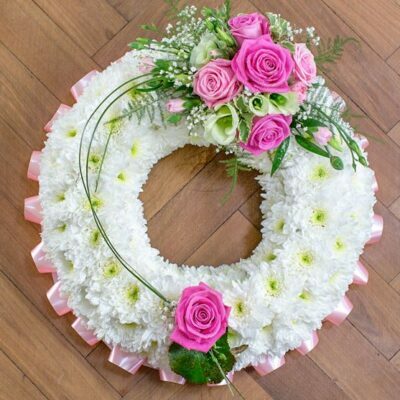 Speak with us about a tasteful and fitting tribute for your loved ones. 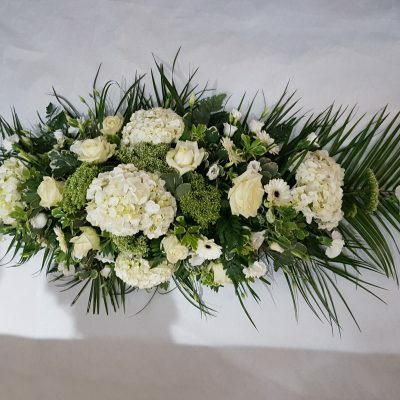 Flowers By Isabel have years of experience in all aspects of Wedding Arrangements, Funeral Tributes, Corporate Flowers and flowers for general occasions. Call us today for more details. Bereavement is a particularly difficult time for any family or individual to cope with. 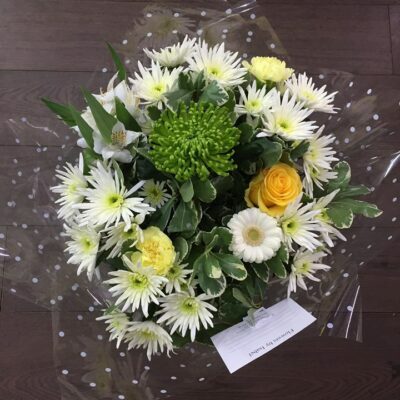 At Flowers By Isabel we understand the stress, pain and anguish being felt by our clients and that is why we have a reputation for providing a personal and caring approach. 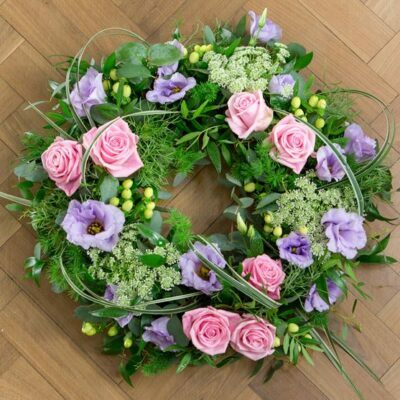 We are here to assist you in any way we can to make sure your loved one receives a fitting tribute. The flowers you supplied for our wedding anniversary were amazing. Thank you so much. It certainly put a smile on my wife’s face. 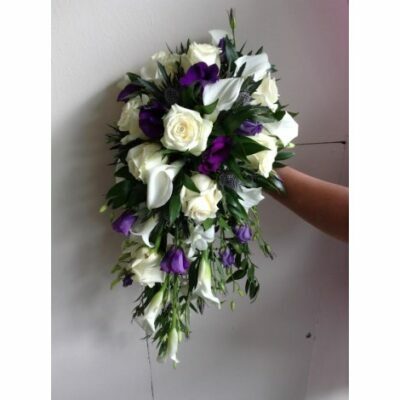 Flowers by Isabel is a Reliable, High Quality Florist in Blantyre, Lanarkshire. We have been lovingly crafting floral arrangements for over a decade. 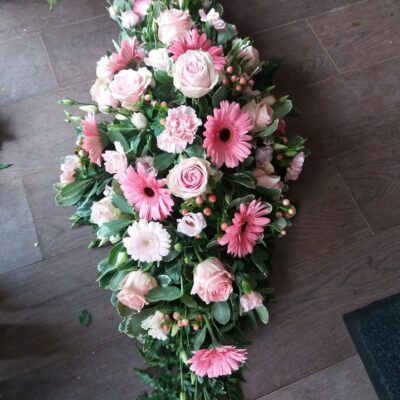 Our team of skilled florists take the utmost care in providing stunning flowers for a variety of functions. 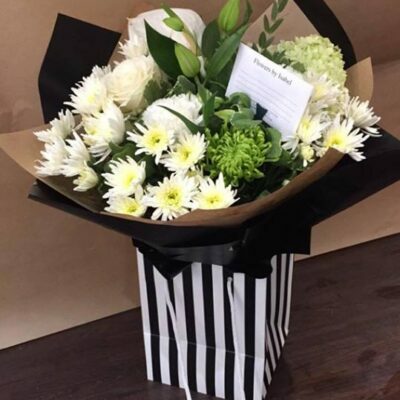 Whether you are giving a gift to someone special, planning a special day, or commemorating the passing of a loved one, Flowers by Isabel delivers a professional yet personal service, every single time. 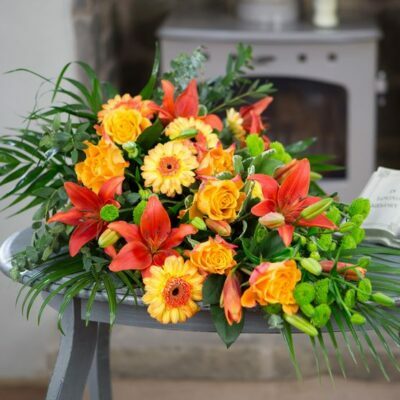 Our extensive range of bouquets, wreaths, arrangements and baskets are perfect for any occasion, but if you have a special request, please get in touch and we’ll do our utmost to accommodate your requirements. We offer same day delivery on all orders received before 1pm, Monday to Saturday inclusive, throughout South Lanarkshire and North Lanarkshire including Bellshill, Blantyre, Bothwell, Coatbridge, East Kilbride, Hamilton, Motherwell and Uddingston areas. Orders received after this time will be executed as soon as possible but may be the following day. Whilst every effort will be made to accommodate customers who dispatch orders to us for a particular time or day, we cannot guarantee to always be able to fulfil your request. Please Contact Us for further details. Visit our Delivery Details page. 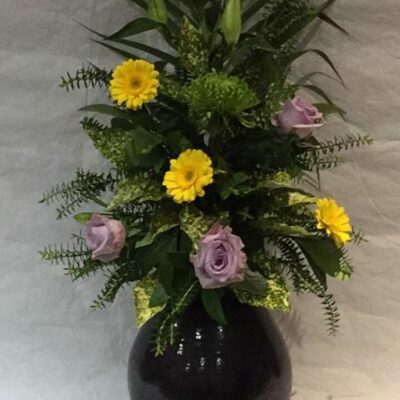 Established more than 20 years ago, Flowers by Isabel was founded to provide the residents of the Blantyre area with quality flower arrangements online and in store. Since then a number of things have changed but our passion for delivering excellence every time remains. We quickly developed a thriving relationship with the Lanarkshire community and were astonished by the support and demand for our services. Over the decades we have been operating in this area, our love and respect for the community we serve has only grown, and we remain committed to providing an unbeatable service, whatever the occasion may be – in store and online. We deliver to the surrounding areas such as Blantyre, Hamilton, Coatbridge and more towns in Lanarkshire. Check our delivery page for more details on same day delivery. 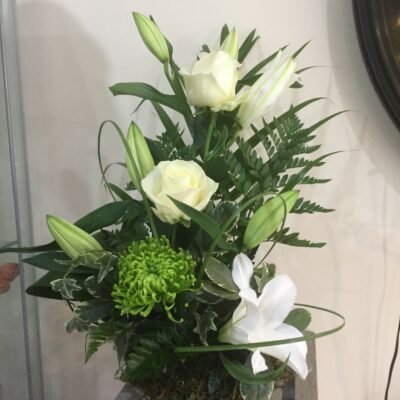 Whether you’re celebrating a birthday, want to say ‘thank you’, or even mourning, every single arrangement from Flowers by Isabel, Lanarkshire, is made with the utmost care and attention – so you’ve one less thing to worry about on your special day. Over the years, we have catered to all types of occasions, whether they’re big, small, unusual or traditional. 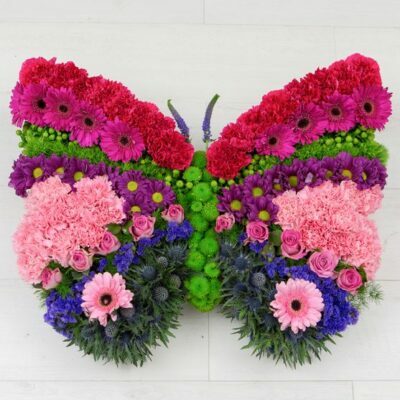 We source a vast array of seasonal blooms from all over the world, so you are provided with the best choice and freshest flowers possible that can be delivered to you on the same day that you purchase online. 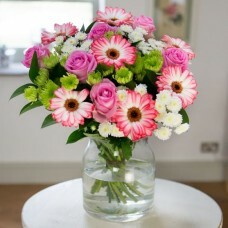 For instance, have a look at some of our floral arrangements on our Facebook page. We would like to thank the residents of the Lanarkshire area for making us a part of so many of their special days! Our designs are our passion, and we hope to continue serving you all for many years to come. Get in touch with us if you have any questions. We’d be more than happy to help you. 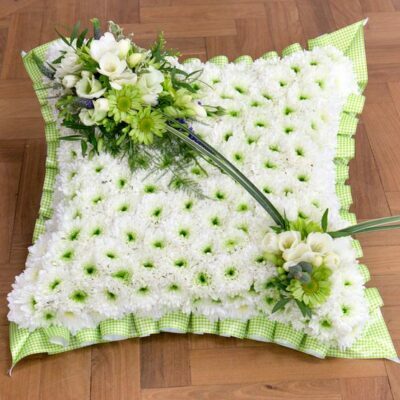 Check out below for information from Flowers by Isabel, Blantyre, South Lanarkshire. Below is a video with some tips on making your own floral arrangement. 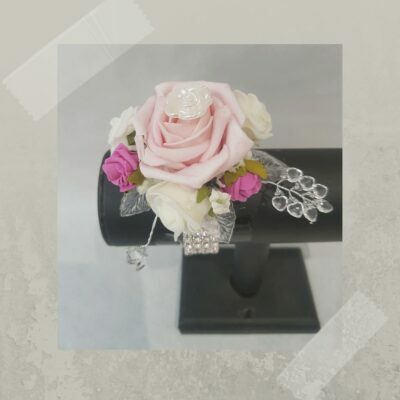 Flowers by Isabel can supply the flowers, ribbons, foam etc., all you require to create stunning flower arrangements in your home. Ask us for more details.